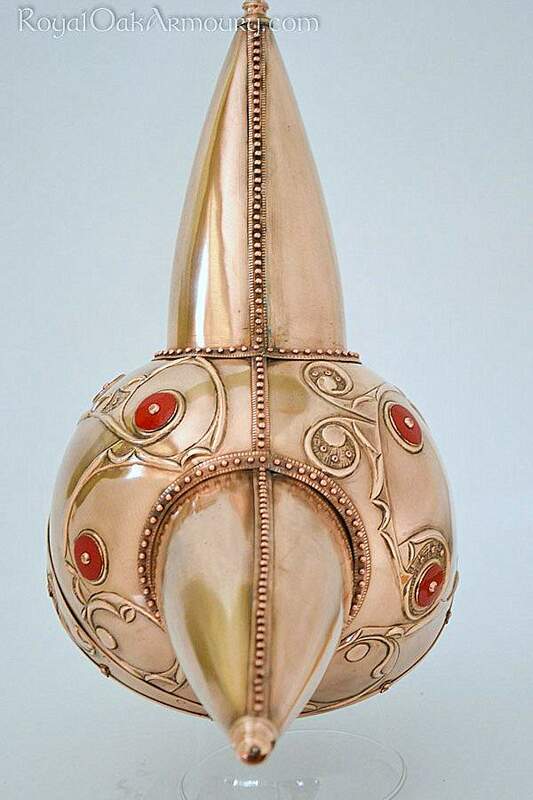 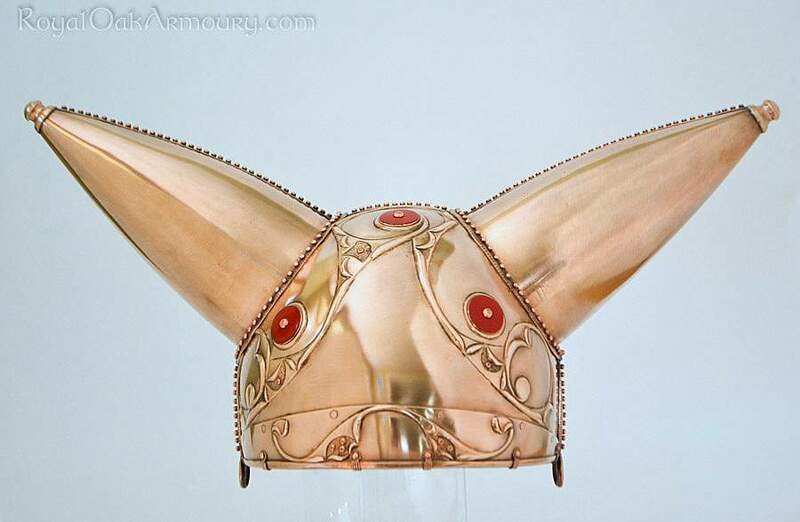 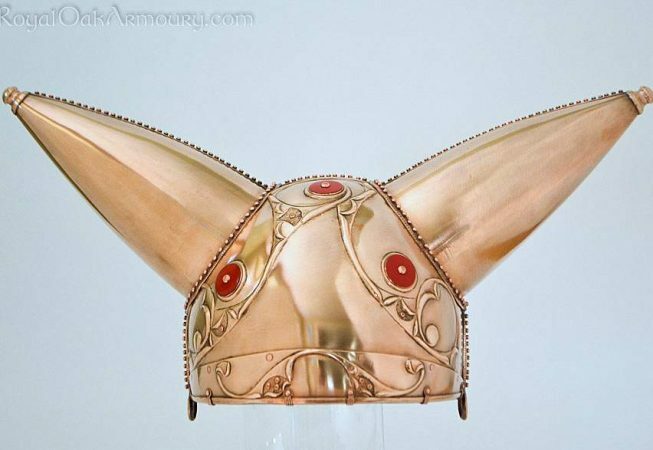 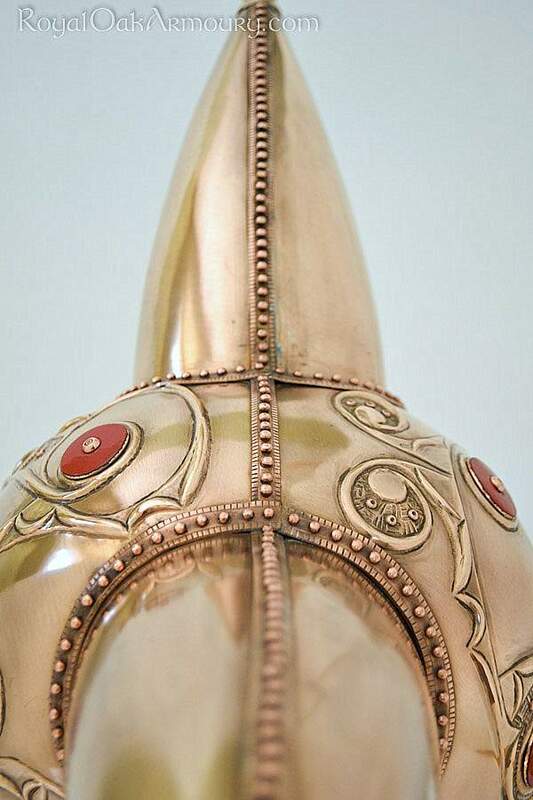 This helmet is modelled closely on the famous Celtic helmet in the British Museum. 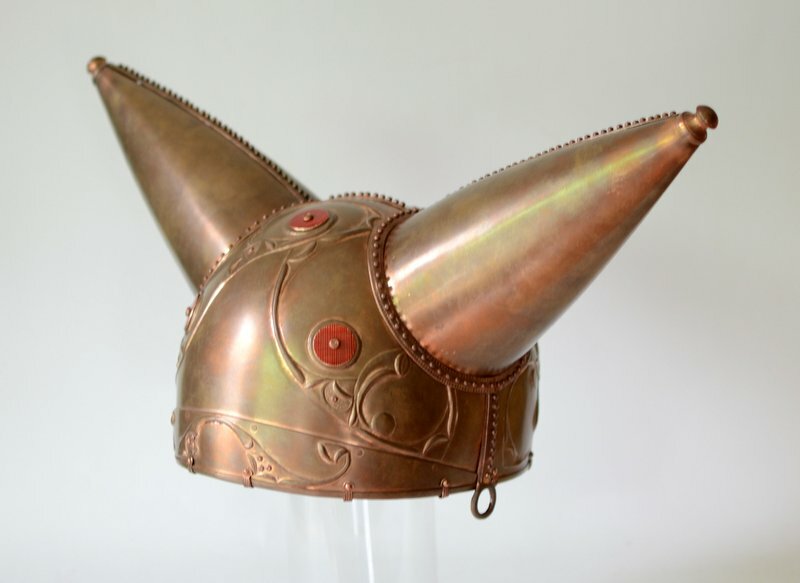 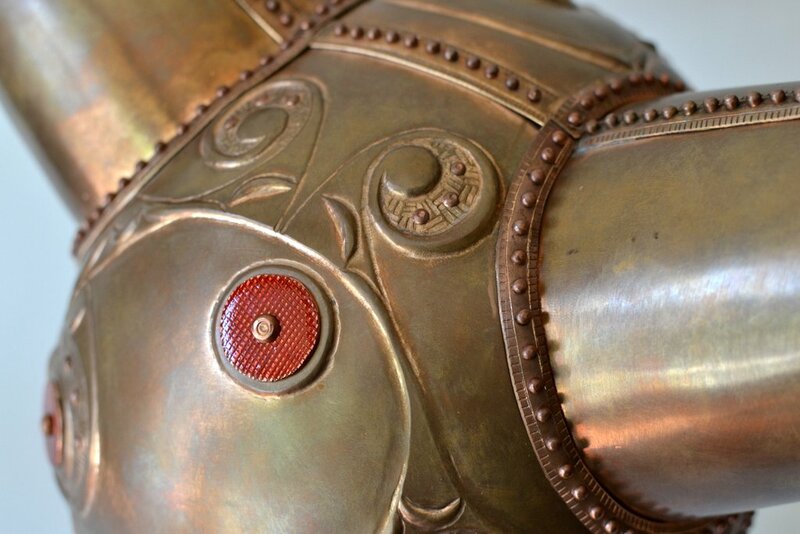 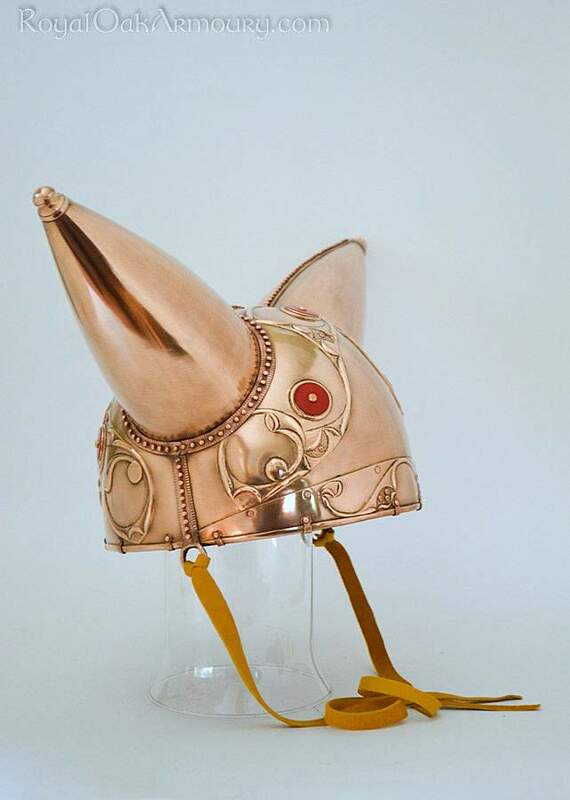 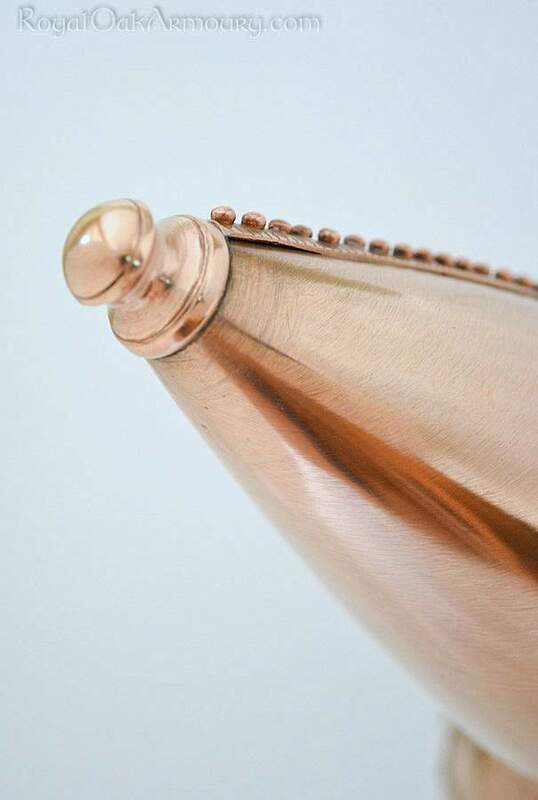 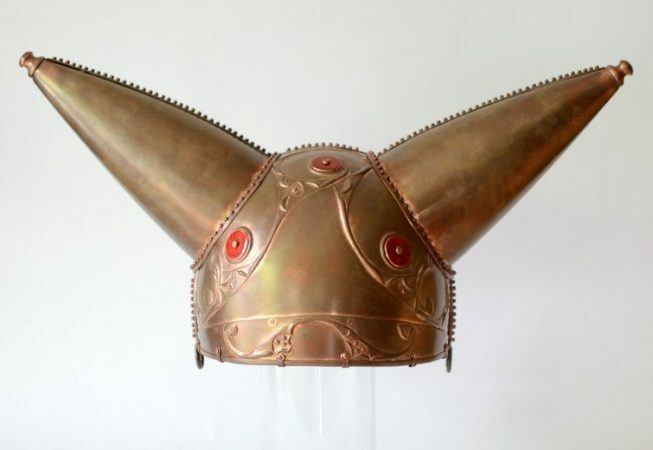 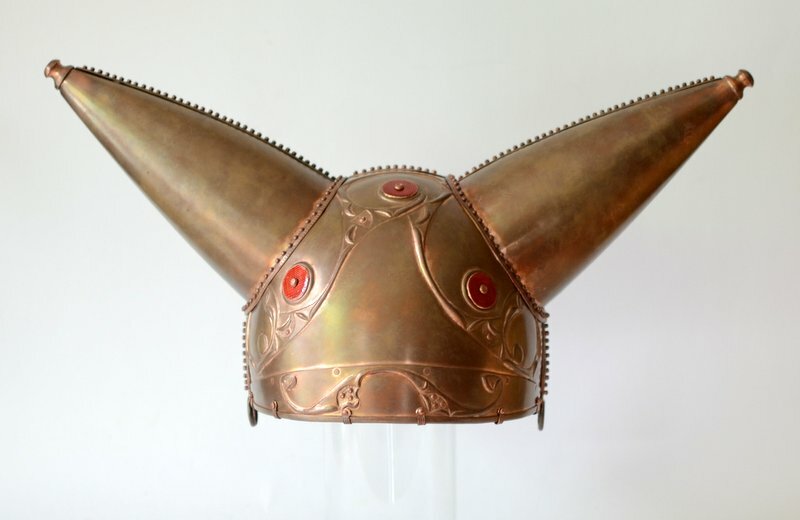 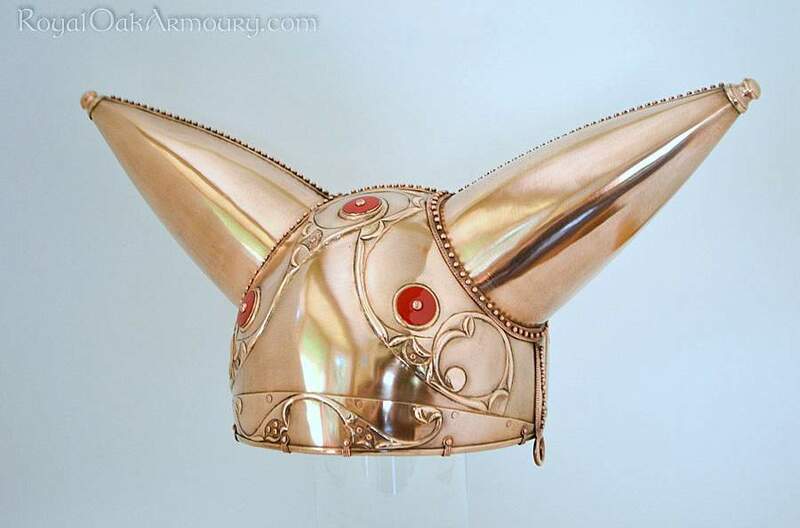 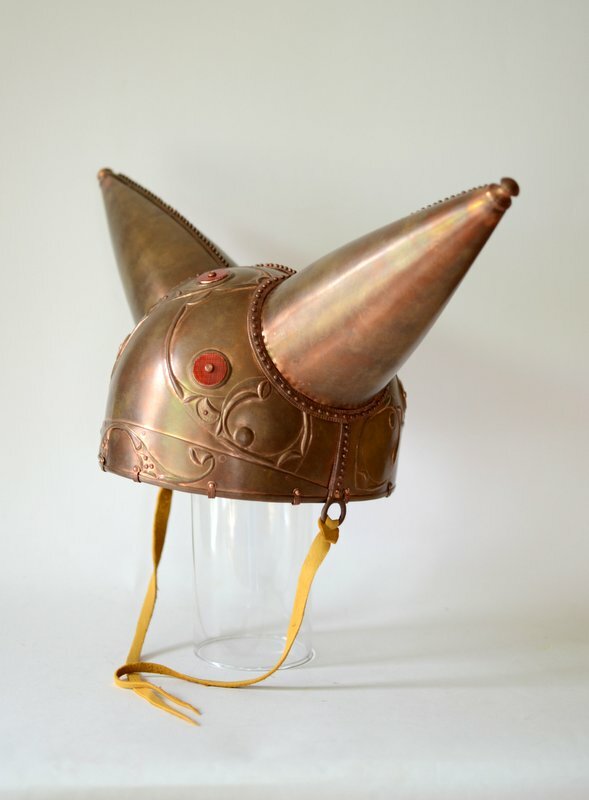 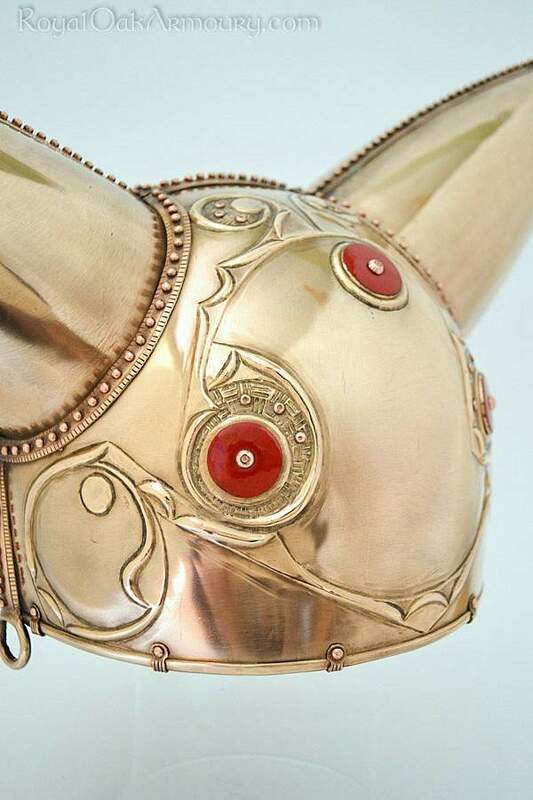 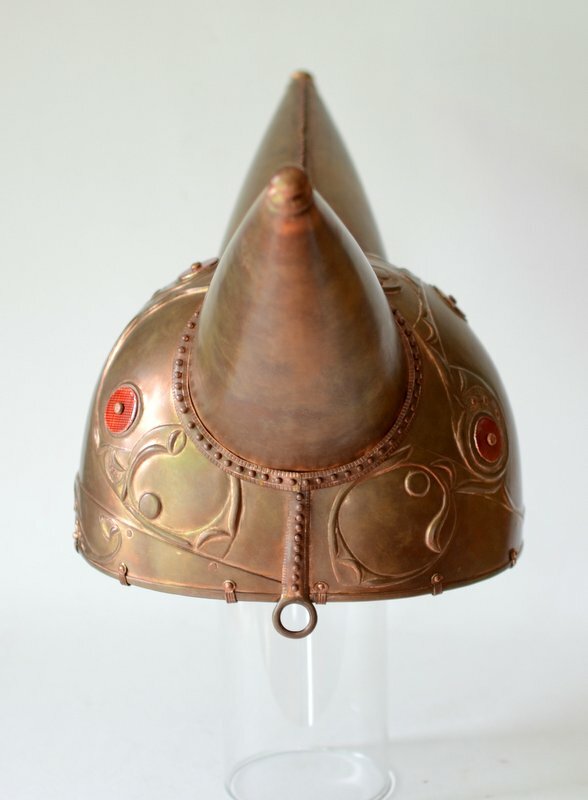 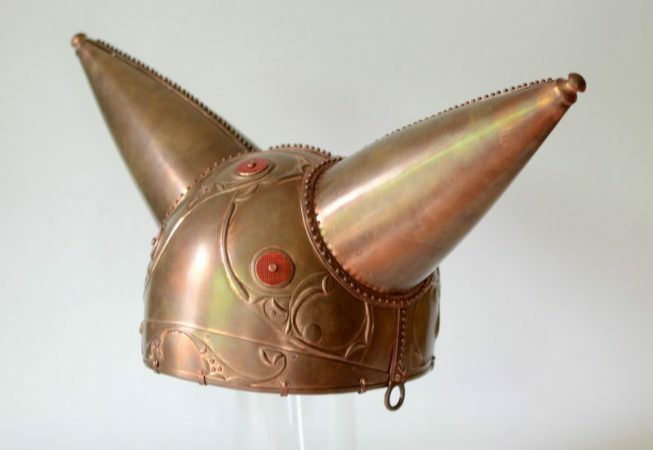 The helmet, as shown, is made from tin-bronze sheet with hundreds of tiny hand-made rivets, vitreous enamel-covered hatched disks and fine repoussé decoration. 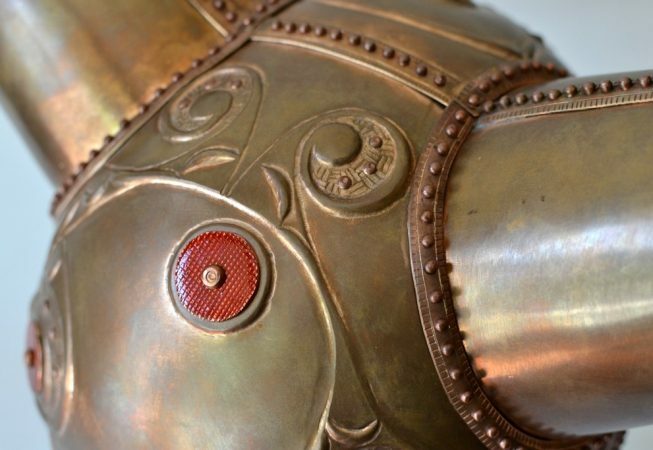 While no trace of a lining remains in the original helmet, rivets around the helmet’s lower margin would accommodate one, so we offer an integral deerskin liner for those who want one. 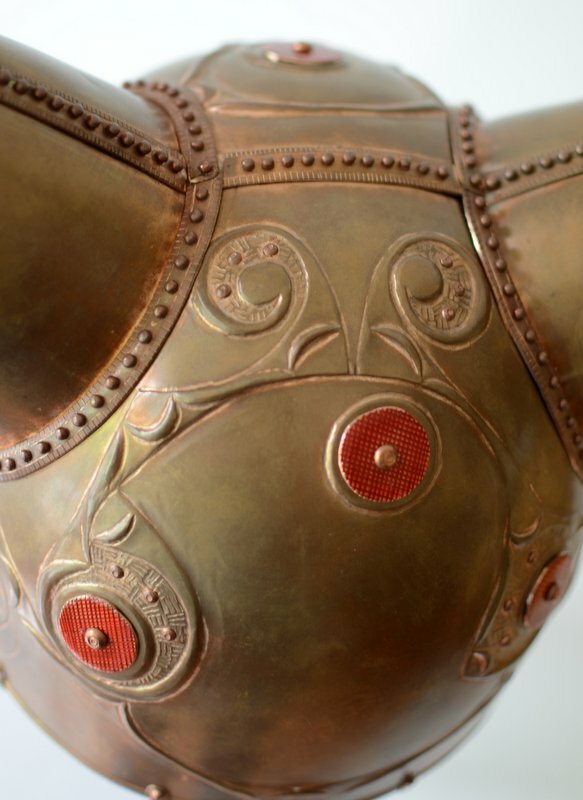 The helmet comes with a pair of chin ties attached to the side loops. 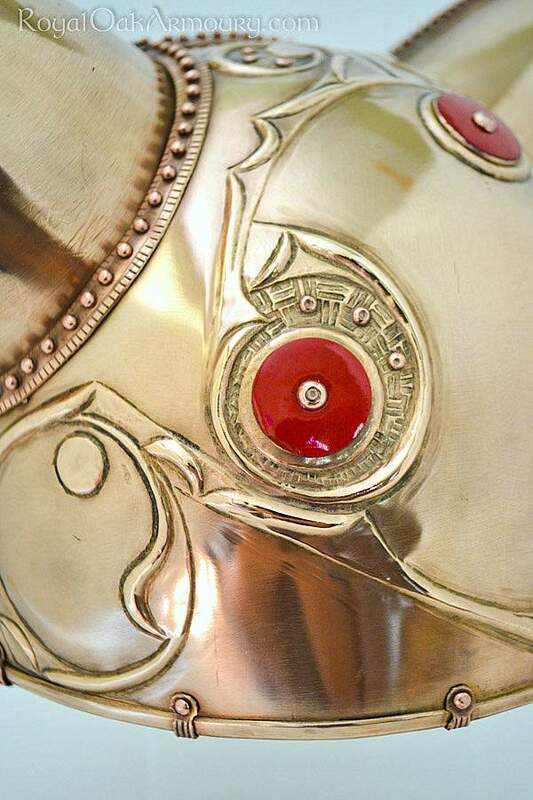 We would be happy to make a matching shield, carnyx, scabbard, etc. 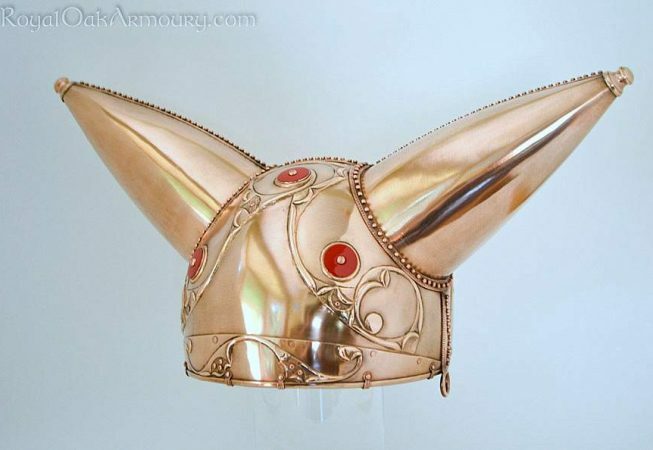 Feel free to inquire.